From its sprawling, majestic beaches, to its lush ecological parks and seaside restaurants, there is certainly no lack of worthiness when it comes to Punta Cana’s popularity among discerning luxury vacationers. Situated at the Dominican Republic’s eastern tip, this premier destination is famous for the calm turquoise waters and white sands of Playa Bavaro. You won’t lack for places to dance all night, and if you love exploring the outdoors, stunning natural beauty is beyond plentiful. History buffs may enjoy day trips to the island’s fascinating ancient capital of Santo Domingo as well, just a couple of hours away. 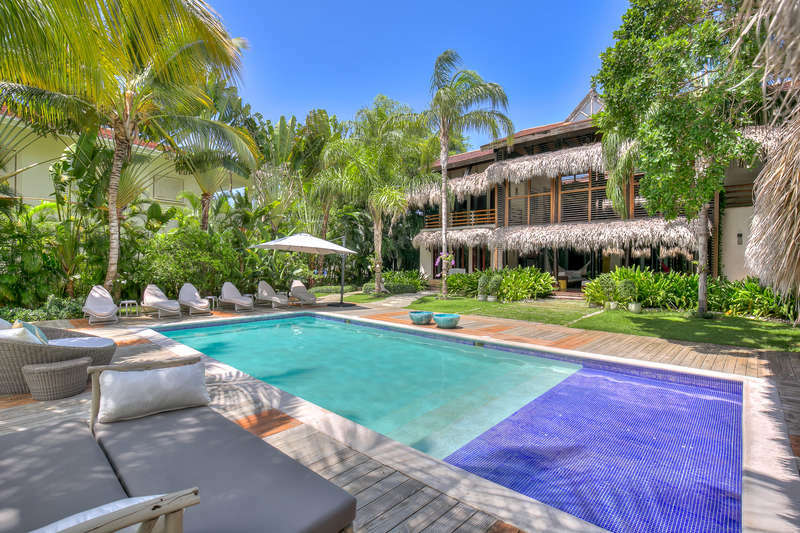 Whether you’re planning a family vacation, a romantic escape, or a getaway with friends, booking a Punta Cana villa rental is sure to please. If it’s the sun you’re chasing, you’re in luck, as hot sunny weather is close to guaranteed year-round in Punta Cana. Many prefer to visit between March and May when the peak season crowds thin out. Average highs hover around 80 degrees Fahrenheit regardless of the season, so heat-seekers have much more flexibility with travel dates. The one thing to keep in mind is Atlantic hurricane season, which lasts from June to November, and can bring rains to the island. Nonetheless, Punta Cana is a very popular destination all year, with reason. Typical dishes in the Dominican Republic are deliciously simple, and use ingredients like rice, beans, plantains, pork, chicken, fish, and seafood. Local Creole dishes are flavored by the region’s Spanish and African influences. Punta Cana’s local beachside eateries liberally serve up delicious fried plantains and fresh fish, while upscale restaurants are ideal venues for parties and celebrations. One thing’s for sure: you will be well fed. Enjoy the gorgeous Jellyfish Beach Restaurant in Bavaro, known for their mouthwatering seafood dishes and oceanside view. For fine dining occasions, try La Yola, for the food of course, but also for their extensive wine list. For those who are in the mood to celebrate, Punta Cana takes on a whole new life after dark, and its numerous bars are perfect for enjoying live music, dancing, meeting locals, and savoring tropical cocktails. If you’ve booked a luxury villa rental in Punta Cana, chances are you plan to take full advantage of the main attraction: blissful beaches galore. The Dominican Republic boasts over 800 miles of stunning coastline, and Punta Cana accounts for 20 of those miles. In turn, the frequented Playa Bavaro accounts for 6 of those miles! Playa Juanillo tends to be less crowded than Bavaro, and is just as beautiful, but has fewer cafes and amenities. The shallow, lagoon-like waters of Playa Blanca are a great family-friendly option. For those chasing the surf, Playa Macao is an incredible place to catch some waves, and, not surprisingly is one of the best beaches for water sports. Alternatively, if you're looking for more of a secluded feel, Playa Cabo Engano can be a breathtaking way to spend the day. The two main Rental Escapes resort communities of Punta Cana Resort and Cap Cana are also both incredible ways to experience Dominican beach culture. 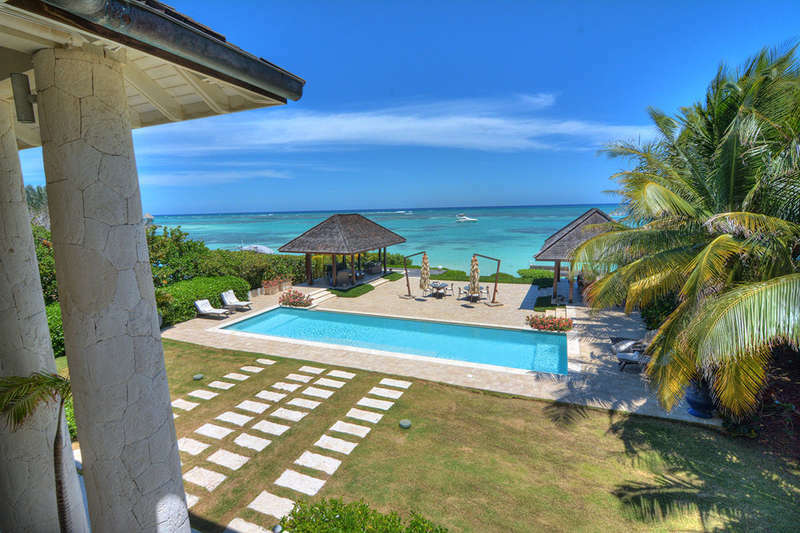 Upscale Cap Cana offers the Caleton Beach Club, complete with beach butlers, fine dining, spa services, and golf. Just next door, the 15,000-acre Punta Cana Resort and Club has the best beach among the resort communities, and offers kitesurfing, golf, and nearby nightlife options to boot. To book a luxury villa rental in one of our stunning resort communities, talk to one of our villa specialists today. If you book your luxury villa rental in Punta Cana between January and March, be sure to make time for diving with the humpback whales at Silver Banks. Or, discover the island of Saona, just off the coast, between Punta Cana and Santo Domingo. Snorkelers and divers regularly explore it by catamaran. For those looking to stay on dry ground, at least temporarily, the 1500-acre Indigenous Eyes Ecological Park and Reserve is a private, protected area made up of lowland subtropical forest. It has 12 freshwater lagoons, 5 of which welcome swimmers. There is also a petting zoo, a sugarcane exhibit, and an iguana habitat, among many other attractions. One thing is certain: Punta Cana and its surrounding areas are teeming with natural lagoons, islands to explore, and fascinating wildlife, so there is truly never a dull moment. When traveling to and from your Punta Cana rentals, golf carts are by far the best way to get around. Our knowledgeable personal concierges would also be delighted to set you up with a private driver, as well as arrange for private transfers to and from the airport as needed. Taxis are conveniently available, and though the fares can be a little high, most drivers will negotiate. Other transportation options include taking a tour bus, or, if you're feeling adventurous, renting a motoconcho (a motorcycle taxi). 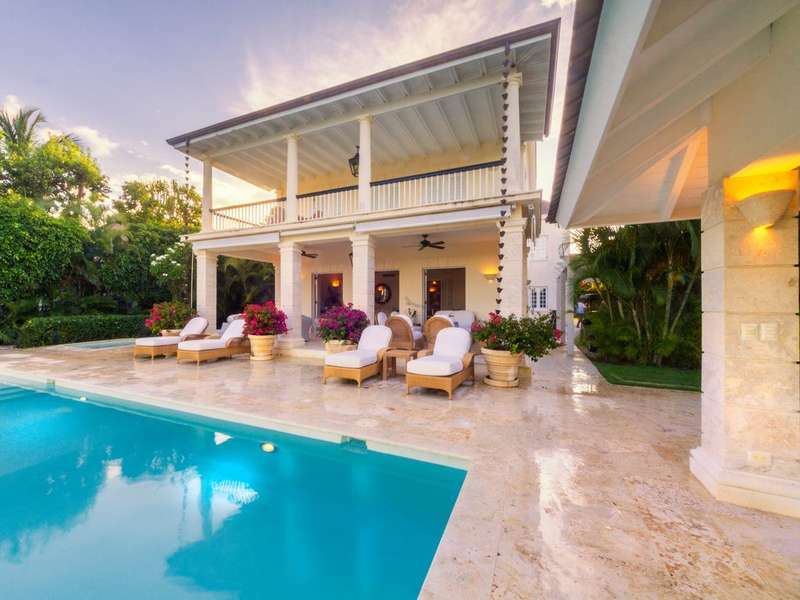 To find out more about the many advantages of booking your luxury villa rentals in Punta Cana with Rental Escapes, contact us today! Note: If exploring other parts of the country, there are close to 20 international and domestic airports from which to choose. See a full list here. At most Dominican restaurants, expect to tip your waiter 10% of the bill. If the service was exceptional, feel free to leave more, of course. Some restaurants add a 10% gratuity right to your bill. But it’s best to clarify this with waitstaff, and also keep in mind that some establishments don’t pass this tip to servers, so cash tips are the best way to go if you want to show your appreciation. Typically, a $1-$2 tip is left for bartenders, and, if you hire a tour guide, it’s customary to give them $25 a day. Taxi drivers aren’t usually tipped in the Dominican Republic, but if your driver is particularly helpful or even assists with your luggage, a $5 tip is considered appropriate.